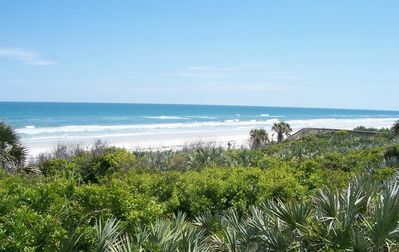 'New Smyrna Beach' is the closest beach to all the Central Florida themed attractions. 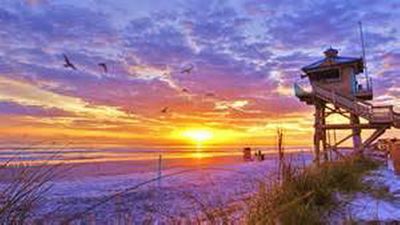 Disney World, Epcot, Universal, and Sea World and of course 'Daytona Beach, the most popular beach in the world', is right in your back yard. 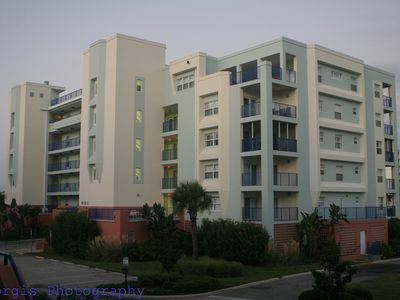 We have a great view of the pool from our balcony and the beach is simply out the door and down the stairs! Family friendly beach with Lifeguards on duty at the beach. 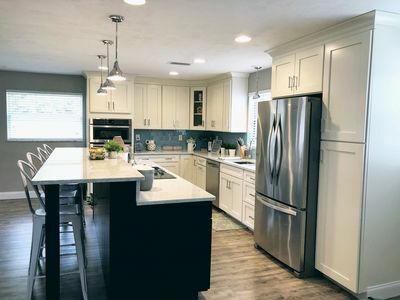 We are “senior savvy” with short a walk away to shops, parks, beauty salon, spa and popular area restaurants like Chases Beachfront and Manny's Italian, and Sonapa Grill all within walking distance. 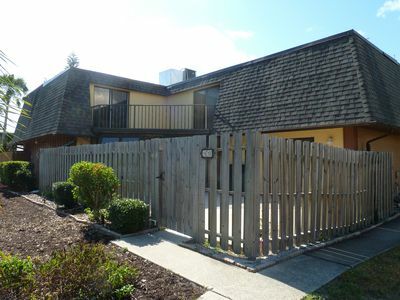 Short drive to charming downtown area where you will enjoy shopping and dining. 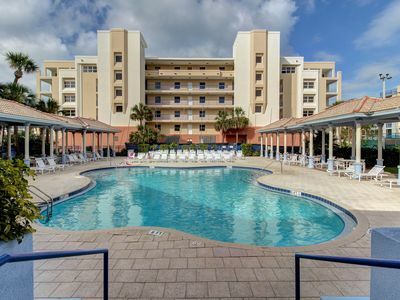 Our Ponce de Leon Towers' building is Friendly, Quiet and Well Maintained with experienced managers on-site. 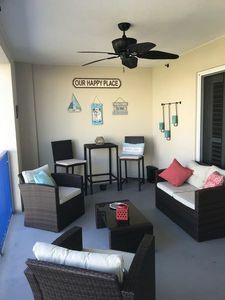 The condominium has chairs and umbrellas for the beach. 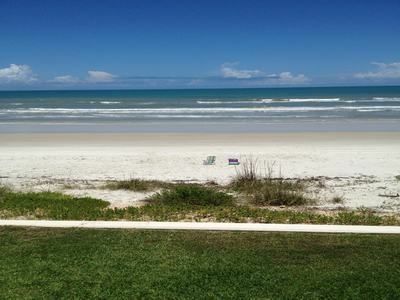 New Smyrna Beach, Florida has 13.2 miles of undisturbed, pristine, white sandy beaches. 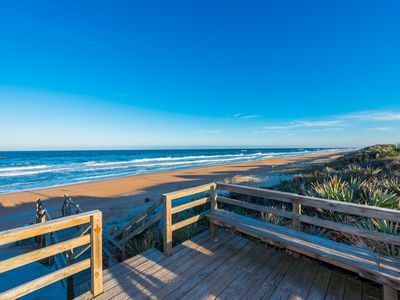 A perfect spot for starting a Florida vacation, New Smyrna Beach has an attraction all its own. Outdoor activities abound. Swimming, fishing, para sailing, wind surfing, golf, tennis, and water skiing can all be part of a day's adventure. Restaurants are close by, across the street to Manny's Pizza or walk down the beach 100 yards to Chase's Restaurant and Beach Bar. 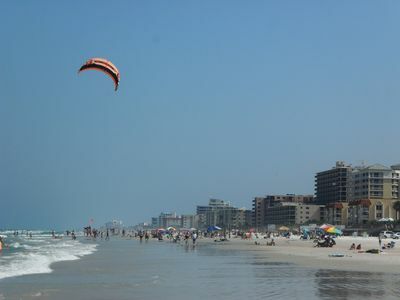 Two miles to shops in downtown New Smyrna Beach and lots of great restaurants. Grocery store half mile, 7-11 across street. 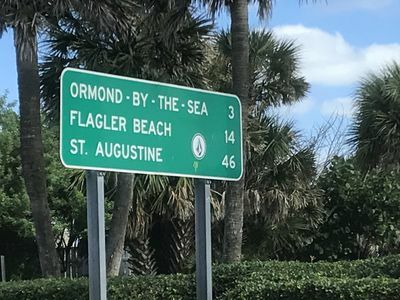 One hour to Orlando/Disney area. 45 minutes to Kennedy Space Center. Cruise ships and gambling cruises half hour away. Many golf courses are nearby. Check out the outdoor concerts, Classic Car club, Fishing Festivals and more. 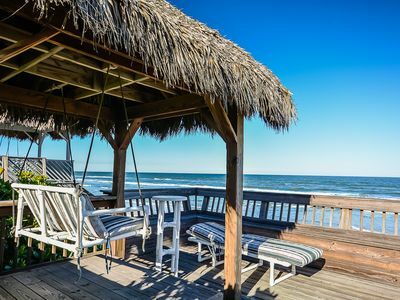 New Smyrna Beach has a quaint Old Florida appeal. Nature galore at local and state ocean and river preserves. 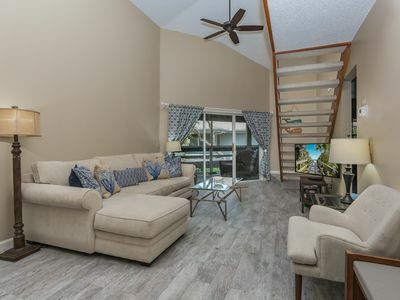 Golf, tennis, fishing are nearby and all the attractions, from Daytona Speedway to Kennedy Space Center, Cruises, Orlando International Airport, Disney, MGM, Universal and Sea World are 20 to 75 minutes away by car. 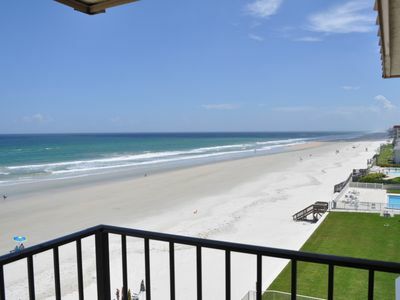 New Smyrna Beach Apartment w/ Ocean Views! 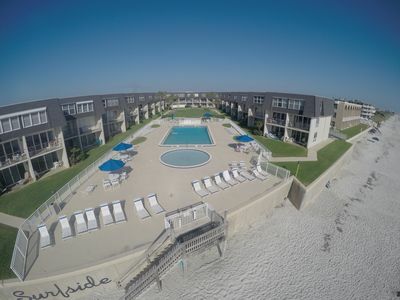 Direct Oceanfront 2/2 We have so much to offer you! 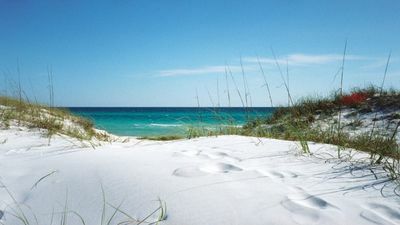 Waves, Beach Chairs, MORE! 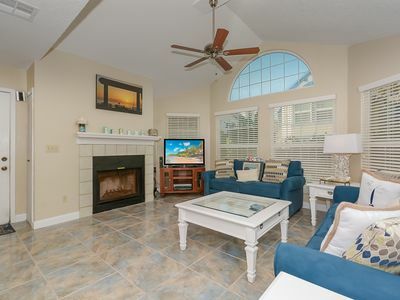 New Smyrna Beach - Quiet and Relaxing Beach Getaway - Summer and Fall specials! 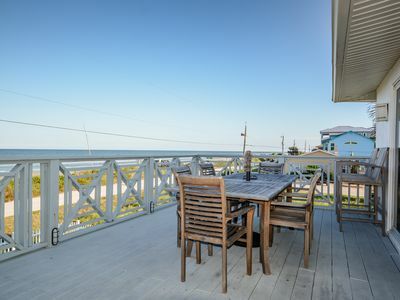 6492 S. Atlantic - Oceanfront 4/3 with large deck, perfect for families! 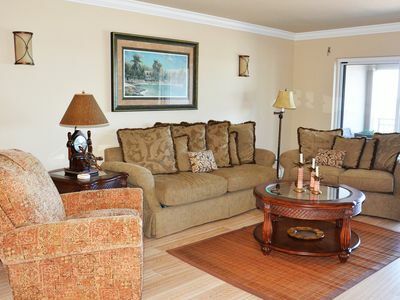 Beautifully decorated top floor 2/2 oceanfront condo. 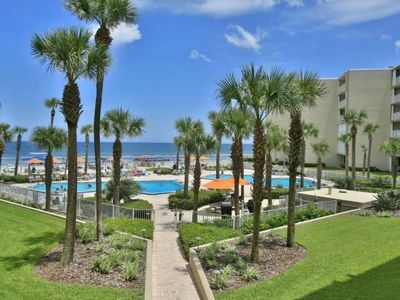 Enjoy incredible views from spacious balcony. 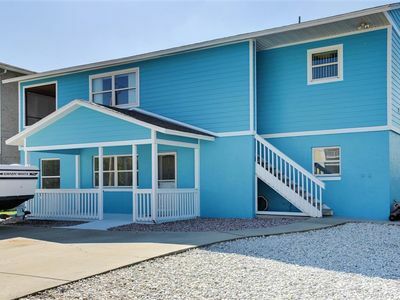 NEW Listing - 10 minute WALK to the BEACH - JUST Renovated! !